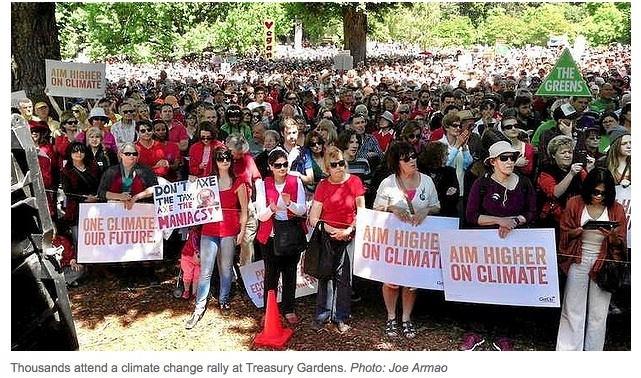 On an impulse I put on a bright orange top and went to a Climate Change rally. I’m glad I went and became one of the estimated 30,000 happy people who turned up. It’s easy to get discouraged, but taking action (no matter how small) is empowering. The organisers suggested wearing heatwave coloured clothes – red, orange, pink. I chatted to a woman named Barbara wearing a pink shirt that she normally would only wear in her garden. Ditto me and my orange top.